Description: KabelSchlepp Way-Wipers provide close tolerance machine tool slide-way protection from hot chips, abrasives, and cooling agents. The tough polyurethane wiper blade is specially designed to seal against wear causing agents. 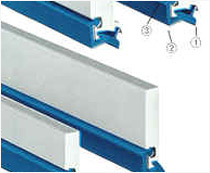 Way-wipers offer complete slide-way protection for original equipment or retrofit applications. 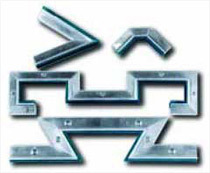 KabelSchlepp America can custom fabricate way-wiper assemblies to suit your application or standard meter lengths are available immediately from stock. 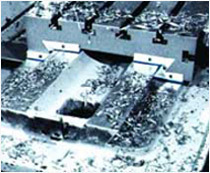 Front lip of blade is suspended under tension to provide a tight seal on the machine slide-way. The rear lip gives additional protection for both directions of machine travel. The unique top seal against the moving part of the machine prevents harmful material from seeping between wiper and machine from above.